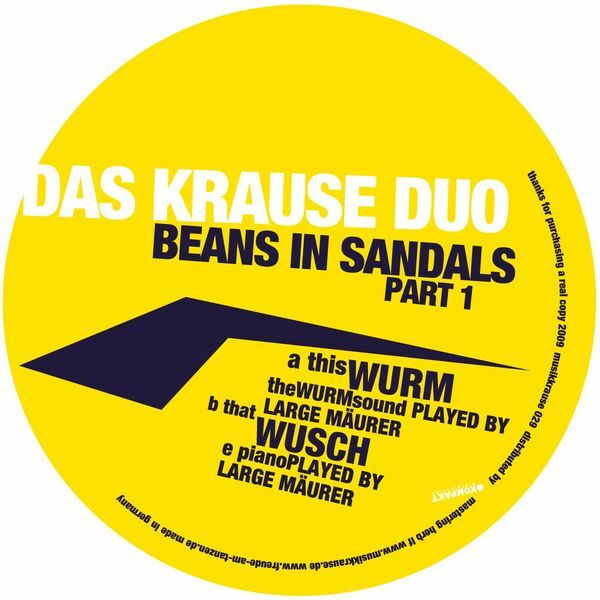 'Wurm' builds its way up to a strange, parping synth riff that takes charge of the track, indicating some of Krause Duo's amiable eccentricity. 'Wusch' is a little less fluid in its execution though transpires to be no less quirky, assembling itself from discordant, jerky riffs that temporarily resolve themselves during the midway point. Enjoyable outside-the-box thinking from Musik Krause gang.